Who Will Be Manchester United's Next Number 10? Who Will Be Manchester United’s Next Number 10? To the outside world, it may appear to be a random number on a shirt, but anyone who regularly follows professional sport will know exactly how important a squad number really is. In basketball, the number 23 was held by the great Michael Jordan and was subsequently retired by several teams as a mark of respect to his legacy. The no.42 shirt has been retired in Major League Baseball in honor of the legendary Jackie Robinson, who broke the barriers of color in the sport by becoming the first colored man to participate in the league. Wayne Gretzky, who is widely acclaimed as the greatest ever ice hockey player, ensured his no.99 went down in ice hockey folklore. Sachin Tendulkar’s no.10 and Shane Warne’s no.23 are also very important numbers in cricket. Although football isn’t as big on the idea of retiring squad numbers as other sports, the digits on the back of a player’s shirt do hold an enormous significance in the beautiful game. The no.10 is one such kit number and has been worn by some of the greatest players ever to have stepped foot on to a football pitch. Diego Maradona and Pele, who are viewed as the greatest of all time, both wore the no.10. Lionel Messi, the heir to their throne, also wears the jersey number. The list is endless, with other legends such as Zinedine Zidane, Ronaldinho, and Francesco Totti going on to make a name for themselves as some of the best of their time while sporting the no.10. It goes without saying then, that the weight of the no.10 jersey is incredibly heavy at the biggest clubs in the world. Only the biggest characters with remarkable ability dare to take on the jersey and create their own legacy with it. 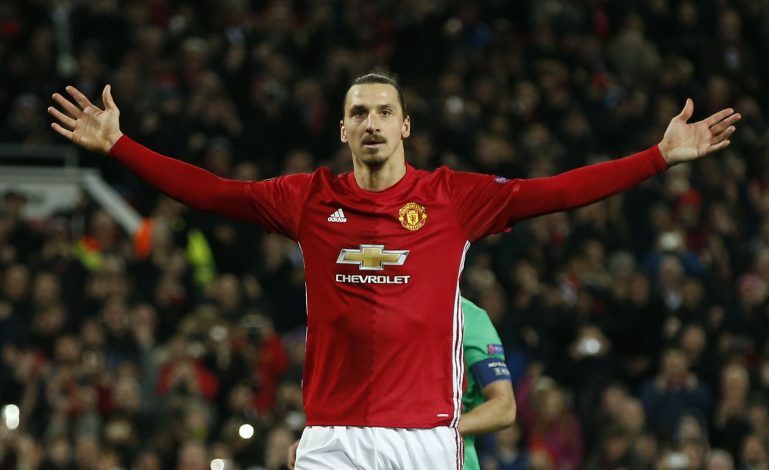 Manchester United, who have a long history of producing some of the best no.10’s in football, currently find themselves without one following the departure of Zlatan Ibrahimovic – another legendary number 10 – to LA Galaxy. United’s academy graduate is probably the current favorite to inherit the legendary squad number. Rashford is United born and bred, and there is nothing that the fans would love more than to see one of their own take on a number that has meant so much to the club in the past. Recent speculation has seen him linked with a move to Real Madrid, but they appear unfounded for now, and at just 20 years of age, Rashford could have many memorable years to come at Old Trafford, and would be the ideal choice for the number 10. He also grew up idolizing Wayne Rooney, who he also had the pleasure of playing alongside for two years before the United legend’s move back to his boyhood club Everton. Hence, taking on the no.10 will be surely be a special feeling. Another United academy graduate, but Pogba enjoyed the best years of his career to date while at Juventus, where he established himself as one of the best midfielders in the world. While in Turin, the Frenchman requested the club to hand him the no.10 after Carlos Tevez had left, and he filled the role perfectly – his form leading United to splash a then world record fee to bring him back to the club. Having started the season brilliantly, Pogba suffered a number of minor injuries that hampered his progress, and he has been poor since his return to action. Jose Mourinho has even decided to drop him from the starting XI in recent weeks for Scott McTominay, who he feels gives more balance to the side. This has led to many questions over where Pogba’s best position is, and many claim that he is perfectly suited to the no.10 role behind the main striker. He is currently being linked with a move away from the club in the summer after an alleged fallout with Mourinho, but should he stay, he may be eager to take up the vacant no.10 shirt once more. Will he stay? Will he leave? It has almost been three years now, yet there is still no definite answer as to where the future of the French forward lies. Griezmann has been flirting with the idea of leaving Atletico Madrid since 2015, but has never made a concrete decision as to when or where he wants to to do so. Manchester United have been linked with him right from the start, and might have even signed him last summer had it not been for Atletico’s transfer ban. Now, despite all of United’s efforts, it appears as though he is going to Barcelona. Still, the Red Devils continue to maintain hope, and are prepared to offer a mammoth amount of money to persuade him to pick a move to Old Trafford over Camp Nou. Griezmann has been associated with the no.7 for much of his career, but with that number now going to Alexis Sanchez, he could be offered the prestigious no.10 instead, and it would suit him perfectly. The forward generally plays out on the wing, but can also operate behind the striker. His brother is a massive United fan, so taking up the no.10 at Old Trafford would mean more to the Griezmann household than just Antoine himself. After Pogba returned to United, Dybala inherited his shirt at Juve, and has worn it to some success. The Argentine’s form this season has been mixed, but everyone in the football world is aware of what the 24-year-old is capable of when at his best. It should not go unnoticed that Barcelona were considering the thought of buying him as a successor to Lionel Messi after he single-handedly tore them apart in the Champions League last year. United are firm admirers of the forward as well, and are ready to spend whatever it takes to bring him in. However, he seems eager to stay at Juventus and develop even further before making a move to a bigger club. Mourinho has already stated that he is more intent on fixing his side’s defensive woes once and for all this summer than going all out for another forward, and that might be favorable for Dybala. If he does decide to move to the Theatre of Dreams, then he will not have to worry about changing his brand, as the no.10 will still be up for grabs. The third and final academy graduate on this list, Jesse Lingard’s importance at United continues to grow with every passing day. The 25-year-old was initially seen as a decent squad player, but never one who would be a first team regular. However, it turns out that the Englishman was a late bloomer, and he has absolutely blossomed this season. Lingard has made 38 appearances for the club this season, scoring 13 goals and nicking 10 assists. He also scored his first ever goal for England against Holland to continue his remarkable goalscoring run this season. His knack of scoring spectacular goals has also earned him a lot of admirers, and he looks set to be a mainstay at the club for years to come. Despite being able to play on the wings, it is in the no.10 role where he has flourished this season, and should he continue to make the position his own, it would only do him justice to take on the squad number as well.